The National Democratic Front of Boroland (NDFB) on Tuesday stated that the conviction of its leader Ranjan Daimary and others by the CBI Special Court in Guwahati would not augur well for the on-going peace talks between the outfit and the Government of India. 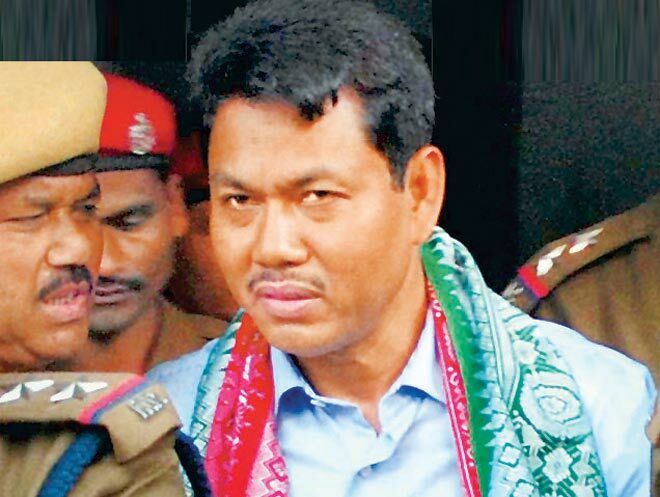 In a statement emailed to the media here, the NDFB general secretary, B Ohnjalu stated that in view of the conviction of its leader Ranjan Daimary, the outfit would be forced to reconsider the purpose of the peace process and re-evaluate the earnestness of Government of India in case its president Daimary is sent to jail. The NDFB, therefore, appealed to the Government of India that the judgement to be declared January 30 should not derail the peace process and NDFB president should be released on bail as early as possible. It may be mentioned that the CBI Special Court in Guwahati on Monday found Ranjan Daimary and 13 others guilty of triggering serial blasts in Assam on October 30, 2008 and the pronouncement of punishment for each of the accused will be made on January 30. The NDFB faction headed by Ranjan Daimary has been engaged in peace process with the Government of India since 2013 and Daimary had been facilitated on bail to take part in the peace process. Daimary was apprehended in Bangladesh in December, 2009 and was handed over the Government of India in 2010 following which he was arrested.